Jaw set for wild boar, large.Options:paintedunpainted..
Tongue for wild boar, large (foam)Options: PaintedUnpainted.. Plastic eyes for wild boar - 18, 20, 22, 24 mm.. Plastic eyes for wild boar - 18, 20, 22 mm..
TK Baltic, Ltd is registered in April 2014 in Riga, Latvia. Most of our forms are designed by worldwide famous Russian sculptor – Vladimir Sukharev. 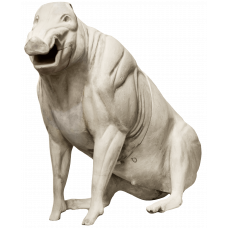 TK Baltic offers life size forms, shoulder forms, rug shell forms, pedestal, bird bodies and heads, jaw sets, ears, eyes and many other supplies.